(This article is sponsored by Adobe.) Kelly’s in charge of choosing IT cloud services at her company. She has signed the company up for a chatbot service, and has had the “Pro” level service (not the “Free” or “Standard”) for two years. It’s time for the annual renewal. Will she renew? Will she decide to renew, but switch to the free service only? Is there anything about the email notice and/or webpage for the service that will either encourage her or discourage her from renewing? There is a lot of research on human decision-making. Here are some of my favorite insights from the research. We like to think that we are logical and that when we are making a decision, we carefully weigh all of our alternatives. When it’s time to buy a new car, do we read all the specs and reviews, and choose the one that is the safest and most economical? When it’s time to renew the chatbot service, does Kelly do a study to see how much use she has made of the “Pro” services and evaluate whether she should stay with that level and pay that amount each month? These would be the logical ways to make the decision, and although we sometimes make decisions rationally and logically, there are hundreds of decisions we make every day, and we don’t do a logical think through of every one. Even the big decisions where we think we are being logical, the research shows that most of our decisions — big or small — are made unconsciously and involve emotion. Here are some facts about decisions that may surprise you. By looking at brain activity while making a decision, researchers could predict what choice people would make 7-10 seconds before they themselves were even aware of having made a decision. This means that even when people think they are making a conscious, logical, decision, chances are that they aren’t aware that they’ve already made a decision and that it was unconscious. We aren’t even aware of our own process. Do you write your messaging and content to appeal to logical thinking? If so, it’s possible and even probable that your logical, persuasive arguments to your target audience about why they should go with the premium service, or why they should purchase a particular product may be in vain. Be suspicious of what people say. Another problem is that if you are diligent in your design process and ask people what factors are important to them, you might not be getting a true answer. For example, if someone interviewed Kelly and asked her why she chooses the “Pro” level each year, it is likely that she will come up with an answer that sounds very logical (i.e. about the service, how her company uses it and so on) when the real reason she stays with “Pro” rather than the “Free” plan may be emotional (“I don’t want to have things go wrong and if I pay money things won’t go wrong”) or just habit (“It’s what we always sign up for”). What people tell you is the reason for why they do what they do may not be the actual reason. People need to feel in order to decide. If you can’t feel emotions, then you can’t make decisions — thanks to our ventro-medial pre-frontal cortex (or ‘vmPFC’). The vmPFC is part of the prefrontal cortex, i.e. the front of your brain. It is important in regulating fear. Other parts of your brain (in particular the amygdala) tell you when you should be afraid and what you should be afraid of. The amygdala is where “conditioned” fear responses are born and perpetuated. The vmPFC, in contrast, has an opposite role. It mitigates conditioned fear. It stops you from continuing to be afraid in certain situations. When the vmPFC is active then you are able to let go of conditioned fears. As a result, you are then able to make a decision. You should just assume that all decisions involve emotions. Rather than just making logical arguments to persuade, you are more likely to persuade people to take an action if you understand how they are feeling about the decision and feed their feeling. For example, if Kelly is feeling apprehensive about making a wrong decision then your messaging should be more about making her feel secure and safe than it is about product features. People buy when they feel confident of their decision. There is actually a neuron that fires up in the brain that triggers people to take action when the brain decides it is confident of a decision. This is subjective. It’s not necessarily based on the amount of information you’ve collected — it’s a feeling of confidence. If you want people to take an action then you need to make them feel confident. If you want Kelly to choose the “Pro” level again, then you need to give her messaging about the “Pro” version that makes her confident of her choice. For example, feed data back to her about how much she has used the service. This will make her feel confident that she is making the correct choice. I take exception with writers who equate unconscious decision making with making poor or irrational decisions. For example, Dan Ariely in his book, “Predictably Irrational: The Hidden Forces That Shape Our Decisions” implies that unless we work hard to prevent it, many to most of our decisions are poor and irrational. Most of our mental processing is unconscious, and most of our decision-making is unconscious, but that doesn’t mean it’s faulty, irrational, or bad. We are faced with an overwhelming amount of data (11,000,000 pieces of data come into the brain every second according to Dr. Timothy Wilson in his book “Strangers To Ourselves: Discovering The Adaptive Unconscious”) and our conscious minds can’t process all of that. Our unconscious has evolved to process most of the data and to make decisions for us according to guidelines and rules of thumb that are in our best interest most of the time. This is the genesis of “trusting your gut”, and most of the time it works! People do like to think that they are being logical and thorough, however, so you may want to offer logical reasons for why a certain decision should be made so that the person making the decision has a rational reason they can give themselves and others. Go ahead and give Kelly the rational reasons she should renew for the “Pro” level, but just understand that that reason is probably not the actual reason. There are two different types of decisions that people make. Value-based decisions are made in the orbitofrontal cortex (OFC). So, during those times when you really are comparing the Honda to the Subaru when you are shopping for a car, then you are making a value-based goal decision. If Kelly was comparing the features of the different levels for the chatbot service then she would be making a value-based goal decision. 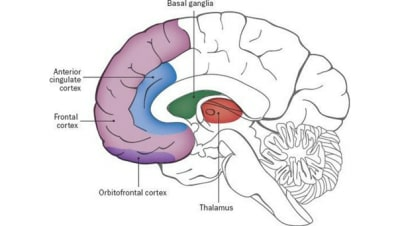 Habit-based decisions occur in the basal ganglia (deep in the brain). When you pull your usual cereal off the shelf at the grocery store and put it in your cart, that’s a habit-based decision. If Kelly presses the ‘Renew’ button for the Chatbot software then she is making a habit-based decision. What’s interesting is that if the OFC is quiet then the habit part of the brain takes over. This means that people are either making a goal-directed decision or a habit decision, but not both at the same time. If you give someone a lot of information then they will switch from habit to goal-directed. So if you want someone to make a habit decision, don’t give them too much information to review. If you want them to make a goal-directed decision then do give them information to review. If you want Kelly to renew for the “Pro” level then don’t give her lots of data. Let her make the habit-based decision to renew. If you are hoping that she will go up a level (not down) then you may want to give her data on her options as that will kick her from a habit decision to a goal-directed decision. And most recently, Sheena Iyengar (author of “The Art Of Choosing”), has conducted several studies that clearly show that if you give people too many choices then they end up not choosing anything at all. People liked having more choices to choose from but they were more satisfied with their choice when there was less to choose from. So, if you show someone too many choices (in this case of sales/CRM services) they might not choose any and instead abandon the page. Kelly was given five choices for the Chatbot service. Three to four would have been better. So, is there anything you can do to encourage Kelly to re-subscribe and not change her level of membership? In this case, the decision is probably a habit-based decision. The best thing to do, then, is to not do much at all. Don’t send her an email with information on all the membership levels. Instead, give her one or two reasons why continuing with her current subscription is the way to go and leave it at that. At a different time (not when she is deciding whether to renew), you can make a pitch for a higher premium level. But if you do that pitch while she is about to renew, you may jeopardize her habit-based renewal. If someone is making a habit-based decision, do not give them a lot of information. Provide people with a brief, but a logical reason for their decision so they can use that to tell themselves and others why they did what they did. Limit the number of choices people have to make to one, two or three. If you provide too many choices then people likely won’t choose at all.